just did mine. couldnt get the bottom section out so just cleaned the top half primed them with oil etc.. When i stated it damn it was loud! I was freakin so took it for a drive sat 3K for a couple of minutes then.... quiet. DEAR GOD! is there even a cam in there?! Hahaha, that looks like the head I had that had been sitting in the shed for a year after a blown head gasket! yes that is normal, seeing you have cleaned the lifter out there is no oil in them, that is why lifters take time to bleed when u put them back in. Gday i Have Cleaned all my lifters Ect Also Inside the rock cover ect my Question is What is the best way to Clean Around the cam ect is there Sumthing to do this as i dont wanna put the lifters ect back on after spending so many hours on them to get clean ? Also Whats The Go With Diesel Mixed With Oil 50/50 Anyone done this Before ? Jesus, that is clean. Maybe a stiff toothbrush? Used a Die Grinder with Wire Brush at Low Speed Works well !!! so i started putting it back together and i dont have a tourqe wrench i snapped the sixth bolt and started to freak, so i put it all back together went to start it and the ticking noise is even worse! a mate said the tapits need to be adjusted but i am not to sure can someone please help me asap as this is the way my car sits now. Last edited by Spool; 05-03-09 at 13:17. Can't adjust tappits they are hydraulic, thats why you clean the oil galleries etc. Did you take it for a drive, or just let it idle over? dont be a tool ENGINEER IT you fool! Devo mate, 5 months ago. how long does a thread stay open before you close it? hi guys i just got my vlct and i think its got a sticky lifter coz when i rev it up a little the sound gose away dose that sound right??? my daily had the maddest lifter noise. 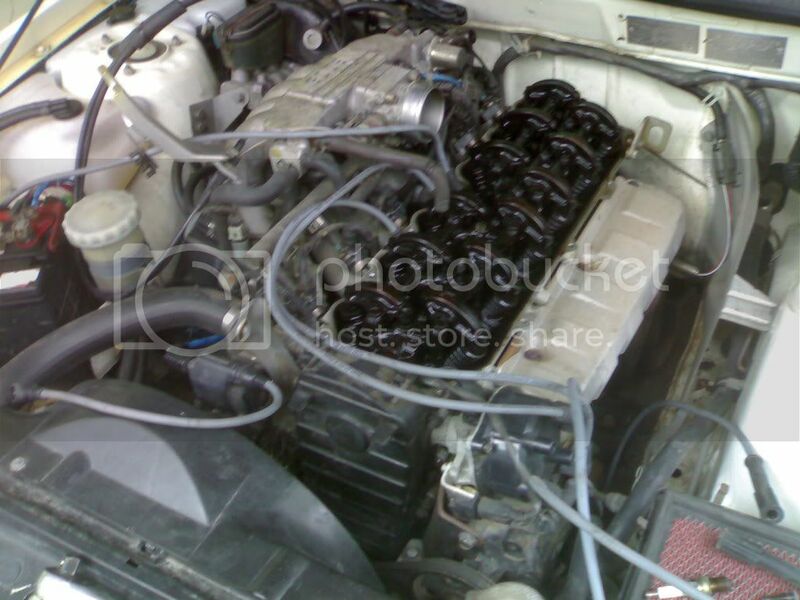 i pulled the rocker cover off and it looks like they have bin done recently. never the less i am have cleaned the front 6 lifters and they didnt have any marks on them and hardly any gunk. and i have only lost one clip sofar - anyone got a spare lol? lifter lube bro. repco. its a hektic 15 bucks. just curious, would this work also? buy cheap cheap oil, dump the old oil and bin it, put the cheap cheap oil in and run the car for a few mins to get the oil everywhere, then dump the cheap cheap oil and replace with your proper oil? i thought this might work as the engine now has clean oil all round? and not the old dirty oil that stays in the crevices when u only dump old oil and put ur good stuff in. if this doesnt work after one flush, buy the cheapest oil u can get, i found some 13 doller oil, and flushed with that, you could buy 2 bottles, and flush the car twice, maybe run it a bit longer between changes, maybe for 10 mins giveing the car a squirt so u know its clean the whole engine, then dump it. the only reason i can see this not working is if the dirt in the lifters doesnt come out? or its blocked in them somehow? if this works, this would be easier than cleaning the lifters, but yea like i said, not sure this would work as good as cleaning the lifters themselves! PS how do u clean the rockers etc? u cant degreas them can you? Last edited by clutch; 19-03-10 at 14:51. 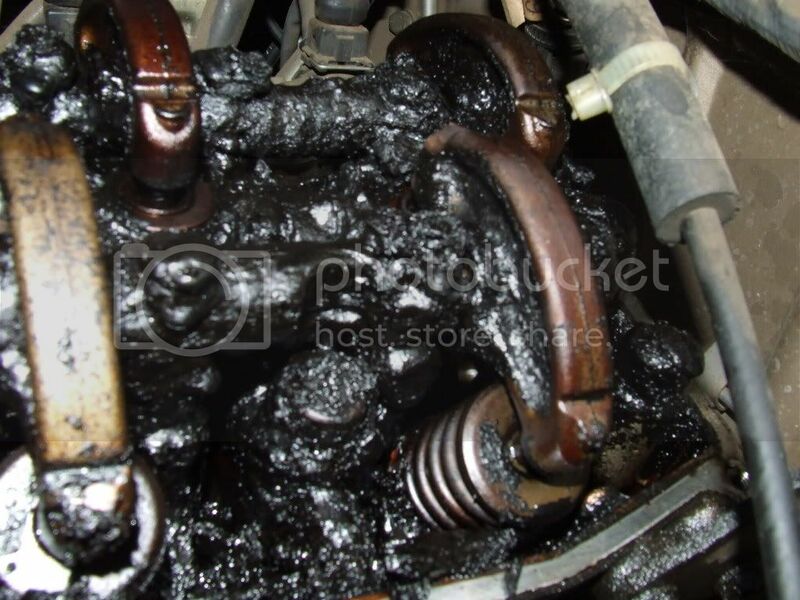 Your oil idea wouldnt work as when you pull the lifters apart there is heaps of crap inside them also. if the lifters are good,could u use .....just an engine oil flush fluid to loosen up the build up?i dont have sticky lifter but would be nice to know its clean in there.wat u guys think?